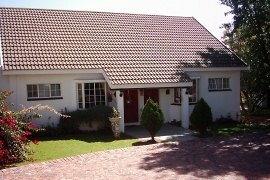 A member of the RCI Group, NAA awarded 4 Star with TGCSA, Heatherdale offers the discerning Tourist and Corporate client a choice of 5 cottages, B&B or self catering. Our spacious and tastefully decorated cottages on 3 acres of secure, beautifully treed gardens have full en-suite bathroom, private Patio / Balcony with BBQ. TV, Mini Bar and complimentary Tea/Coffee and biscuits. Full English or Continental Breakfast inclusive. Excellent Dinners and Lunches optional. Come and relax around our private sparkling pool and enjoy a BBQ/ Braai or sundowner. Conference and Meeting facilities in our Robert Burns Room (Max 30). Close to all major routes Sandton, Fourways, Montecasino, JHB International, Lanseria Airport and Flight Centre and just 1 Km from the Coca-Cola Dome and Northgate. We are situated less than a Kilometre from the Dome at Northgate, close to an excellent array of restaurants, cinemas, shopping and an Ice rink yet we are in an idyllic country setting. Close to Randburg CBD, Sandton, Fourways Office Park, Monte Casino and nearby to Kya Sands, Laser Park and Strijdom Office centres. The Lion and Rhino Park, and the Randburg Waterfront. Just over 1 hour from Sun City. Excellent accommodation for corporate clientele and special corporate rates for regular and longer term assignees. Heatherdale is set on 3 acres of beautiful treed gardens within a 10 acre country estate. North Riding is exclusively cordoned off with boom access and dedicated police patrol, ensuring our suburb is one of the safest in the Gauteng area. Our clients have their own electronic access to the grounds and cottages for ease of movement. Breakfasts are served early to suit the corporate client or later in the mornings for the tourist. Enjoy the home away from home atmosphere and the best of British cuisine. and a host of other fabulous day trips to do. We will arrange the best and most economic car hire for you and ensure that your onward trips overland to Cape Town, Kwazulu Natal, and anywhere else in Southern Africa is taken care of ensuring that you get the best value for money and the best of accommodation known to us personally. Make your starting point at Heatherdale and we will liaise with you in planning your trip to Southern & South Africa. Ever thought of learning to scuba dive and enjoy the wonders of our magnificent reef life or dive in cages and view the magnificent white sharks at close range? What about hiring a camper mobile home and taking off for Etosha or the Drakensberg mountains? We will also arrange your stay in Kruger National Park. See our links page for more adventure thoughts, go direct or come through us at no extra cost to arrange and plan your adventure trip.